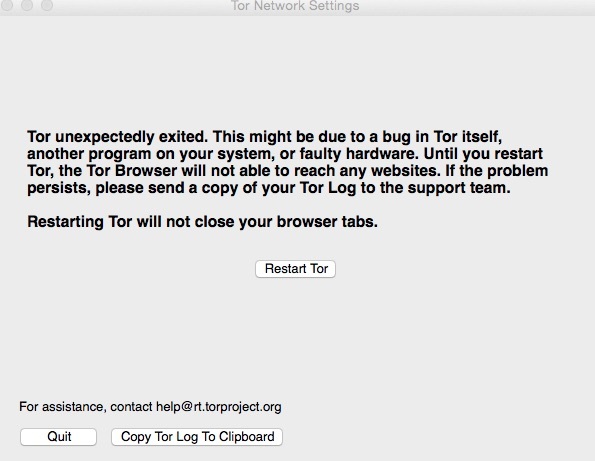 I have been using and updating the Tor Browser for over a year. Worked great. Now when I open it, it will not load and crashes. I deleted the file and download it again. Reinstalled and again, it will not load. I don't see what is going on. I did update my mac software, but i think i used it a few times after that. not 100% sure. I copied the log but when i did nothing was copied it seemed.